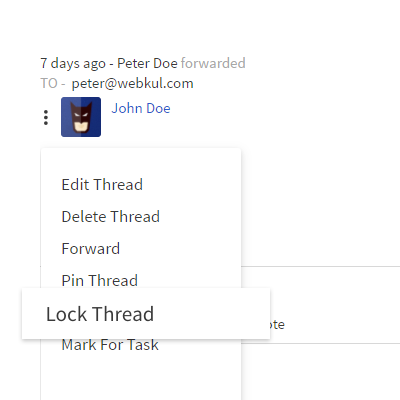 No more checking emails for queries. 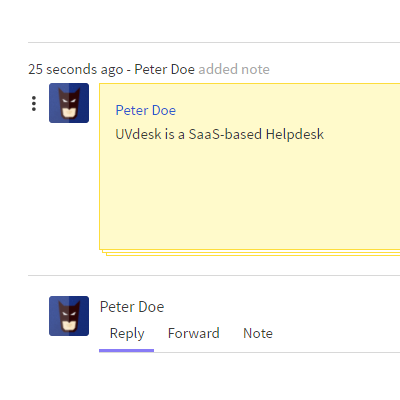 Get your queries generated as a Ticket with the UVdesk Helpdesk and provide exceptional support to the customers. We care a lot about the customers and their comfort. 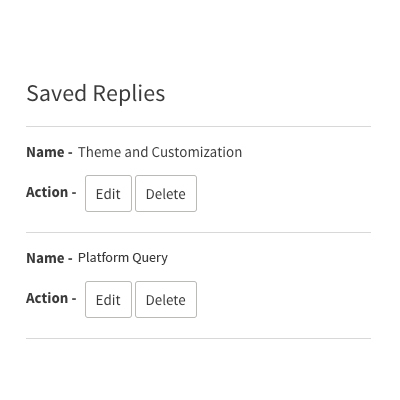 Let your customers reply directly from their email panel rather than coming to Ticket Panel and replying. Whenever an agent reply on customer’s ticket, the customer gets an email notification. Now you cannot expect him to come on your page to reply to that ticket. He can reply to that email notification directly and the reply will be automatically converted to the ticket on agent’s dashboard. No email will ever go unread with “Mail to Ticket” feature. 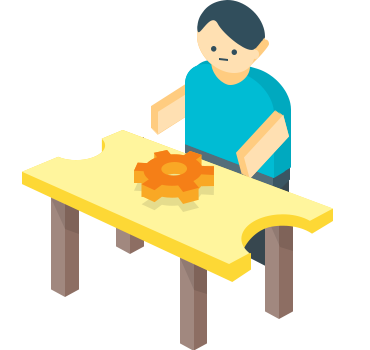 It will convert your query coming on your support mail to the tickets automatically for the proper execution. 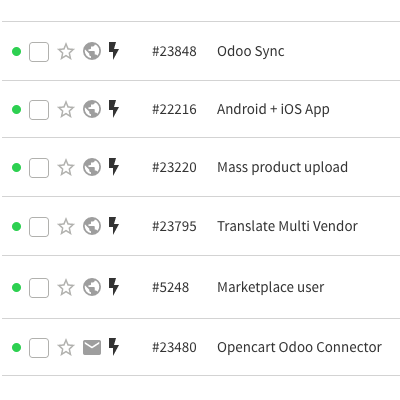 By setting up the mailbox in UVdesk, all the incoming emails on your business email IDs will be forwarded to UVdesk and converted into the ticket. And from the panel, you can reply to those tickets without going back to open your email account. Boost the security level of the tickets by Locking ticket thread. 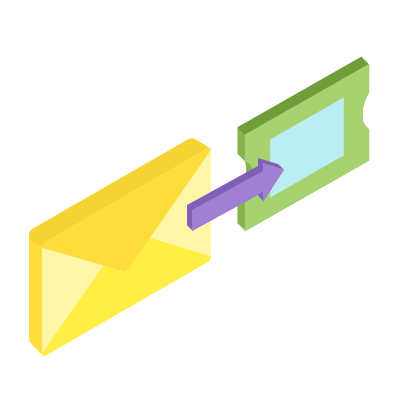 Lock or unlock any particular ticket thread as per your need and protect the sensitive data. If you working with a large number of clients and most often take their website FTP or SSH details and wants to hide the data with the group of agents who are working on that ticket, you can lock that ticket thread so to make it visible for the ones you need to. Omit any thread of any ticket as per the need with this “Delete” function. Helpful in order to avoid queuing up of the unnecessary threads. For all the tickets threads that are not useful for the agents and the customers, you can easily delete that to keep your conversation short and easy to keep track on the information. 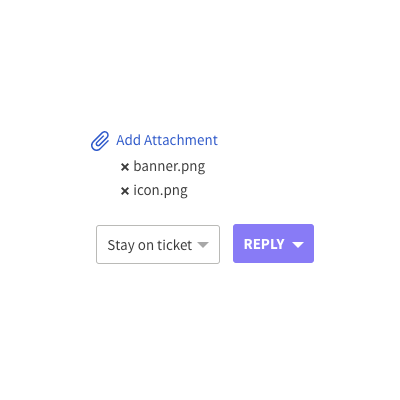 Forward the ticket thread by mail to the required support staff and reduce the resolution time. Also by the “blind carbon copy” and “carbon copy”, inform the authorities about the things related to the support through the ticket. If you want your teammates to know about the contents of the ticket thread consisting useful information, you can easily forward to all keeping anyone in “carbon copy” and “blind carbon copy”. Now add private notes for your fellow agents in the ticket regarding any topic like the update, follow up, etc. Secret notes are always hidden from the customers so your support staff can add notes for their ease and make the support fast. 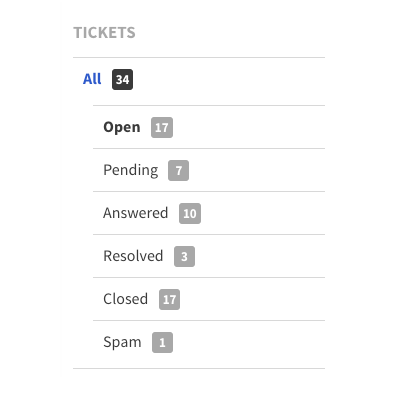 With the addition of secret note, anyone working or not working on the ticket can easily check the ticket progress or issue that agent has noted down and respond accordingly. 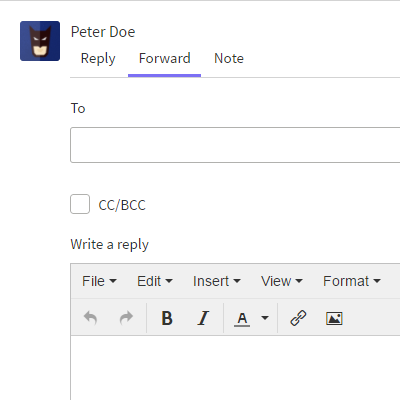 Save support staff’s time by creating some pre-defined reply templates to the common queries which will help the agent to answer the question within a single click. Instead of writing same response to the similar type of ticket from different customers, you can create a common response and use them while replying to any particular customer’s ticket thus saving your time. Mark your tickets as “Urgent”, “Medium”, “Low” as per the situation and make the ticket resolution process smooth. The agents can provide attention to tickets based on the priorities and delivering a smart solution. 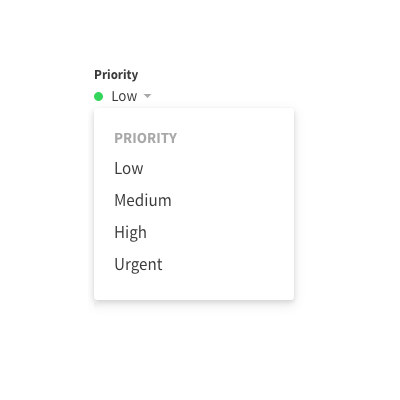 Whenever the ticket is assigned to an agent with a particular priority, an agent can classify his tickets based on priority and reply to them as needed. Define the state of the tickets based on the current scenario. It will never allow your agent to miss any single ticket. Follow up the pending tickets, Spam the dummy tickets, Resolve the completed tickets and make the ticket management easy. 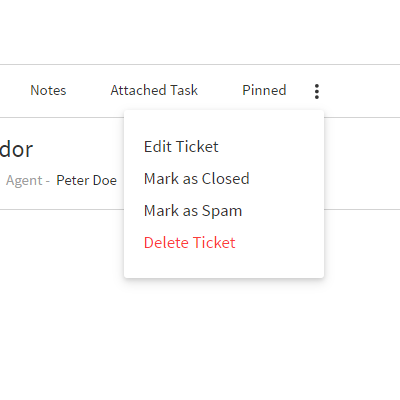 Based on the completion of work or ongoing conversation with clients, you can assign the status of the ticket so as to make it easy to do follow up and easily stack up your task and ticket replies. 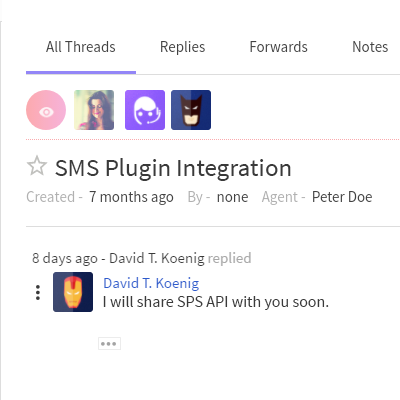 Multiple Support agents can view a single ticket for the discussion, validation purpose. The agents can also see the other members who are viewing the same ticket with them. By this not only every agent is aware of the ticket as raised by the customer but also you can discuss with your team on the similar ticket and provide the solution as feasible. In the whole bunch of ticket, it’s difficult to remember ticket ID or the customer name if you want to check any particular ticket. 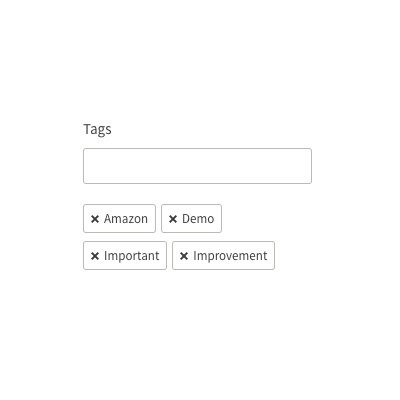 Making a practice of allowing tags to the ticket, makes it easier to search tickets of similar problems and tags. Assign Scopes, Roles to your Support Staff. 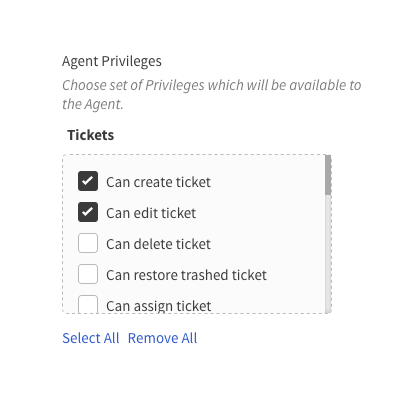 You can restrict which part of the helpdesk, the agents have the authority to see and what actions they can perform which can be set under agent privileges. Agent Privileges plays a key role in assigning the roles to agents according to their profile and perform actions accordingly. By this, the superiors can monitor the agents’ performance by monitoring their ticket reply and doing their part as well. 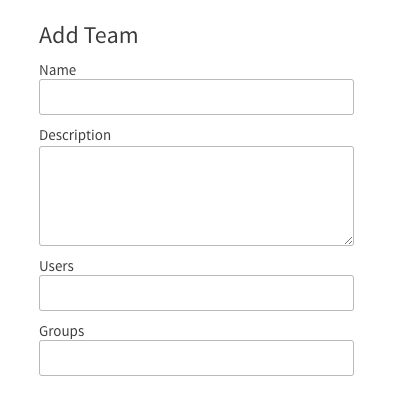 Add your own Support Staffs or Agents and assign them Privileges, Groups, and select the Ticket View for them. You can create as many support staff and agents based on the taken UVdesk plan and assign their roles and responsibilities. You can also monitor their performance based on their ticket response and resolution time on the agent’s insights section. Classify your tickets into various Groups for the better ticket management and speedy resolution of issues. 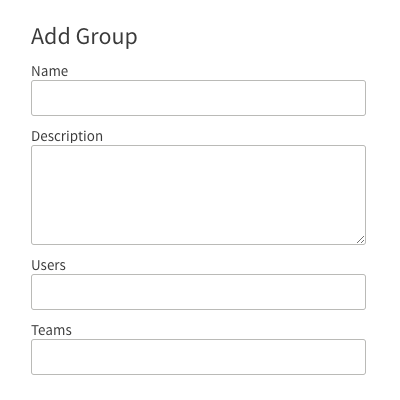 By configuring groups, multiple support agents can be managed by classifying them into individual groups and the agent can track them easily. Arrange your tickets & support staff in Teams for the better ticket management, search process and speedy resolution of issues. You can group your agents under a different common team and assign tickets based on that. You also have the option to keep an agent in multiple teams if he wants tickets as requires. Now, upload the images in any format in the ticket for the better understanding of who is on the other end. 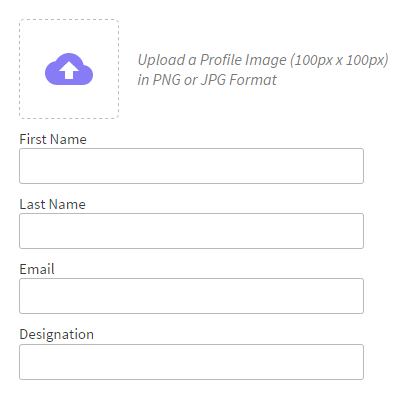 The image can be uploaded in the form of URL, change the size of the upload image as per the frame and align it on the left, right or middle. The uploaded image gives the better understanding of the scenario and helps your clients to get more understanding of the problem or solutions that you are looking to convey to.